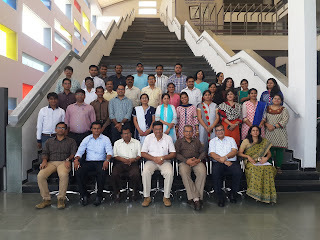 Shanti Business School’s Research and Development Cell organized a national level Faculty Development Programme (FDP) on “Fundamentals of Research Methodology from July 13 to 19, 2015. The programme provided a perfect platform for academic institutes and industry to collaborate and interact in the field of research. 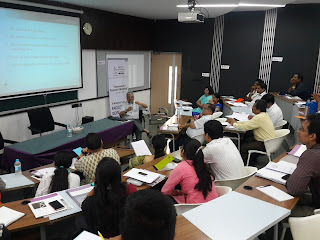 The focus of the programme was to acquaint the participants with sound theoretical as well as hands-on experience of research methodology and data analysis with the use of SPSS and MS Excel. The sessions were conducted by eminent faculty members of Shanti Business School as well as industry experts. In total, 38 participants attended FDP throughout seven days. Management, Bank of Baroda, etc. No comments on "Faculty Development Program"